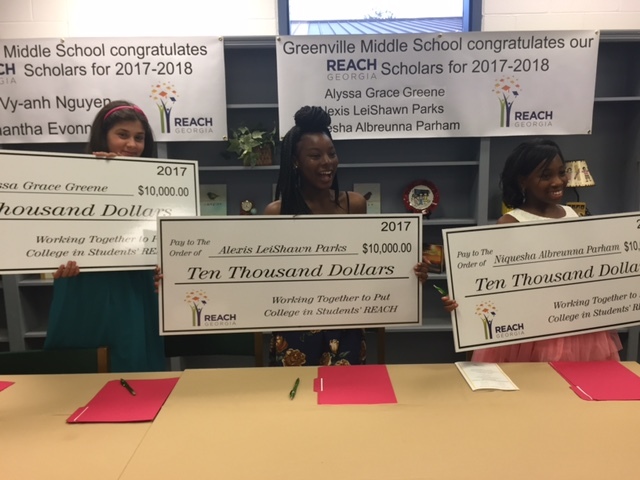 Congratulations to the 2017 REACH Scholarship Award recipients! 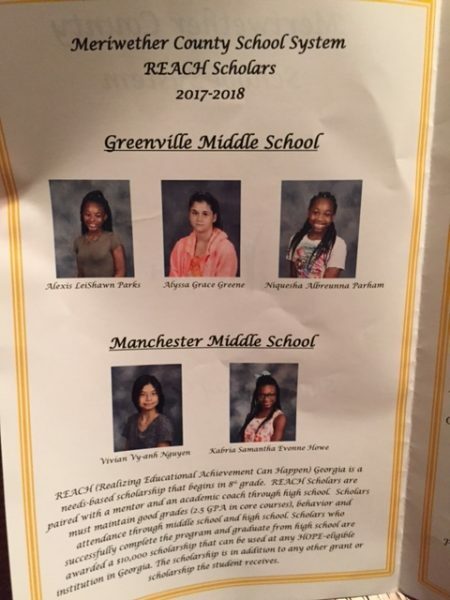 Five 8th grade students from the district were chosen to receive this prestigious award. 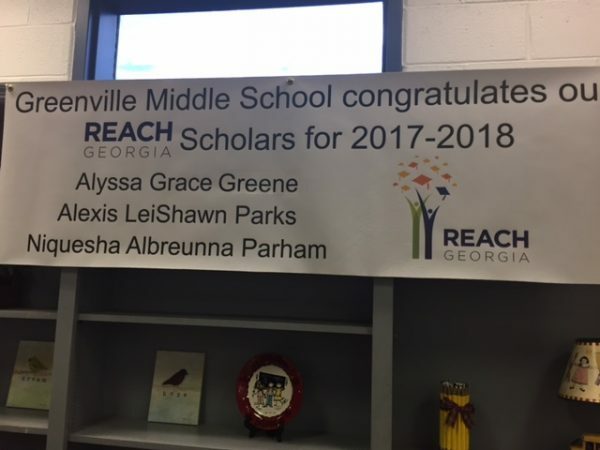 Three of the five students chosen are from Greenville Middle School: Alexis Parks, Alyssa Greene, and Niquesha Parham. 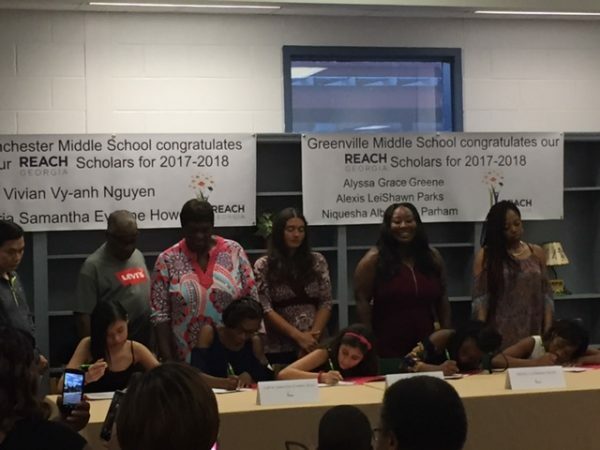 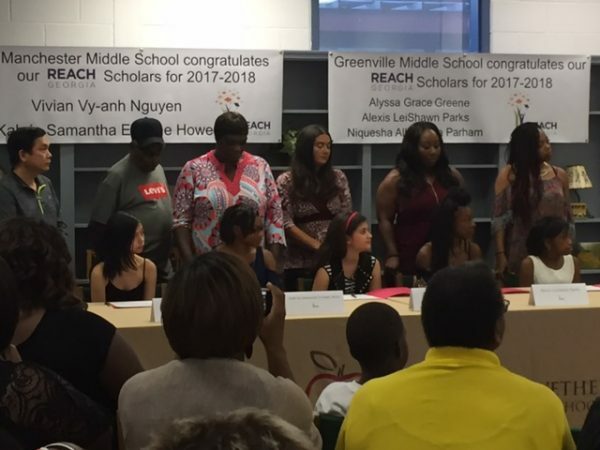 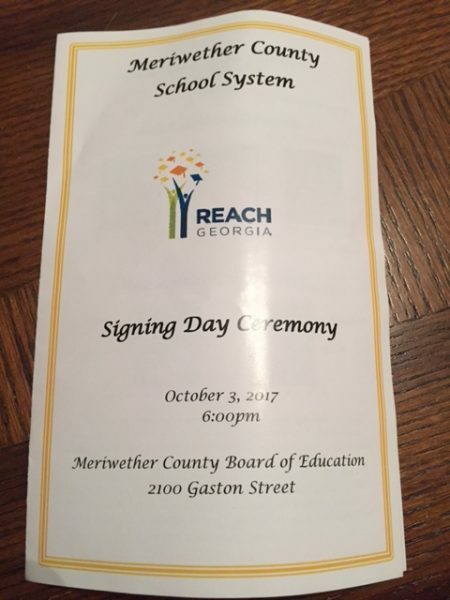 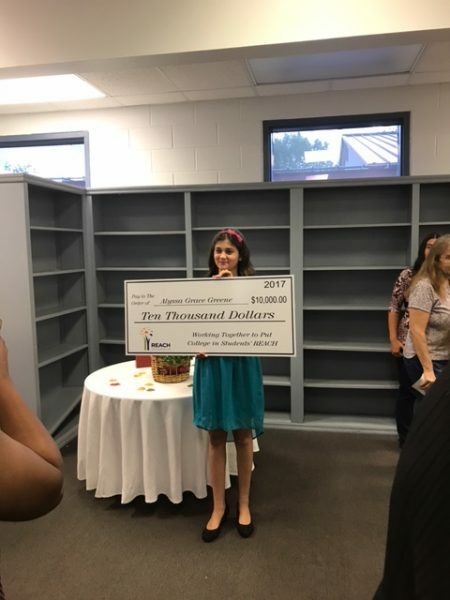 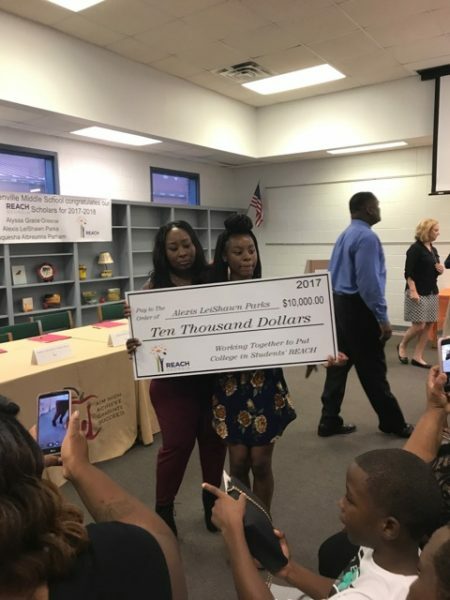 If they maintain their good grades, behavior, and attendance, these outstanding ladies are guaranteed a $10,000 scholarship to any Hope-eligible institution in Georgia upon graduating high school.